Hey guys! 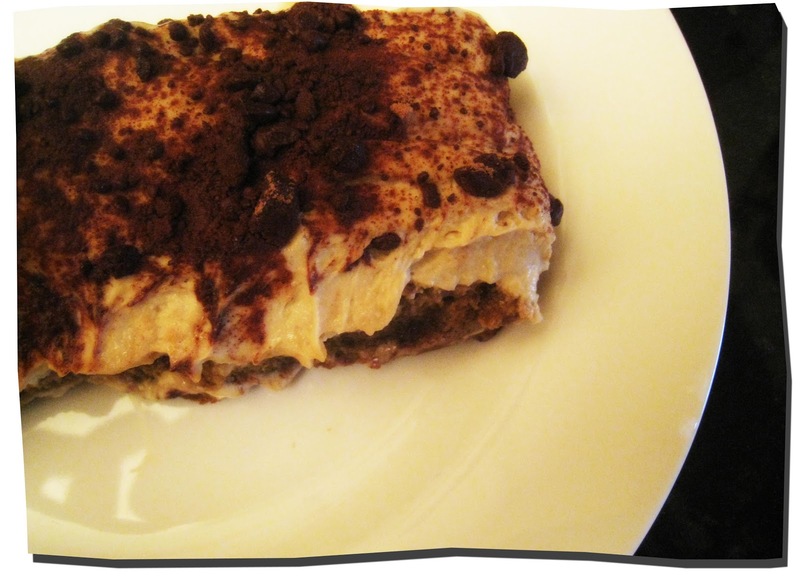 As promised, here's a really simple tiramisu recipe you can make (that doesn't require raw eggs). This recipe serves about 4 decent sized helpings. It's not too rich, and just the right amount of wet between the sponge fingers (if you get the dipping right! ), and very satisfying! Combine 50ml coffee with the mascarpone, vanilla extract, and liqueurs. Whisk thoroughly till smooth. Whisk the cream together with about 8 tablespoons of icing sugar, then fold into the above mixture. Add 1 tablespoon of icing sugar to the remaining coffee, and pour into a flat pan. Roll the sponge fingers in the coffee. Be careful not to roll for too long, or your tiramisu will turn out watery; but also do not roll for too short a time, because then the tiramisu will be too dry. Line the base/s of your serving tray/glasses with sponge fingers. Spoon the mascarpone mixture into the tray/glasses. The mixture should be about double the height of the sponge finger base. Before serving, dust cocoa powder over the top of the tiramisu.